Nearly three months have passed since XOXO, and I’m still digesting what happened in Portland on those warm September days. The writeups on The Verge, Boing Boing, and Wired summed it nicely, and I did a big roundup of reactions from attendees and the press over on Kickstarter. In case you couldn’t make it, we released the videos for every talk last week, over seven hours of video from 24 amazing speakers. There are too many great talks to mention, but personal highlights include Dan Harmon, Chris Poole, R. Stevens, Julia Nunes, and Adam Savage. Last month, I was the opening talk at Farmhouse Conf in Los Angeles, attended Andy McMillan’s Build in Belfast, participated in the Open Internet Preservation Society at Mozilla Festival in London, and gave the closing talk at Beyond Tellerand in Düsseldorf. At each event, I’ve started looking at them from a new perspective, hoping to learn what works and what to avoid, if we ever do XOXO again. A big event, like any startup, is a series of small decisions that roll up into a joyful or miserable user experience. I’ve talked a bit about the philosophy behind XOXO and what we were hoping to accomplish — celebrating independent artists and hackers using tech to make a living doing what they love. But I haven’t talked at all about the logistics of running the festival, and all the decisions we made that made it unique. After organizing Build for three years, XOXO was Andy McMillan’s fourth major event, but my first time organizing anything bigger than 50 people. From Build, Andy came equipped with concrete ideas about what makes a great conference. I didn’t have any experience running an event, but I’ve been to enough conferences to know what I like. Fortunately, we have very, very similar tastes. Put simply, I designed the festival that I wanted to see in the world, with the hope that enough attendees shared my interests — if you care about the things I do, you probably had a great time at XOXO. Speaking only for myself, here’s why I think XOXO worked and what we were trying to do. XOXO was a snark-free zone, a reaction to the cynicism and knee-jerk contrarianism that’s so prevalent online. Playful, sincere, supportive, and meaningful. I wanted them to feel comfortable enough to approach strangers and make new friends. I never wanted them to feel like they were being marketed to. I wanted people to experience everything I love about Portland, have great food and drink, and never feel bored or confused. More than anything, we tried to optimize XOXO for fun. During our opening comments, I took a moment to encourage everyone to approach people standing alone, or join groups of people they don’t know, knowing that everyone was supportive and nobody would be turned away. At the closing party, I heard self-described introverts tell me this guidance fundamentally changed their experience of a conference. They weren’t stumbling around alone anymore. Curation is the most important factor of a great event. A clear editorial voice, a coherent theme, and who you invite to participate changes everything that comes after it — good curation brings great attendees, generates word-of-mouth, great press, and opens all kinds of doors. Curation isn’t limited to just picking the speakers. In our case, it included the videogames and their designers in XOXO Arcade, the films and their directors at XOXO Film, the musicians in XOXO Music, every project featured in the Market and Hack Cafe, and all the local food carts on the street. To get great speakers, you have to actively recruit them. For several speakers, XOXO was their first talk. Fortunately, designing the XOXO lineup got easier with each successive speaker, opening the doors to higher and higher profile people. By the time I approached Adam Savage, the lineup was already impressive. After we got Adam, signing on Dan Harmon was that much easier. But it was always a hustle, crafting and customizing the pitch for every single speaker — convincing them it was worth their time and effort for a first-time festival. The city, the venue, the neighborhood’s walkability, and the proximity to great restaurants and bars make the difference between an amazing event and a total slog. In many ways, the event is the location. Good events can succeed despite a bad location, but an amazing location can salvage even the most poorly-run event, giving attendees a memorable experience from the surrounding area alone. It’s amazing to me how many conferences get this wrong, usually for convenience, cost, and capacity. Most commercial event spaces have no character at all, and are in less than ideal areas. Convention centers and hotel ballrooms are well-equipped for large events, but are universally awful places for a creative event. 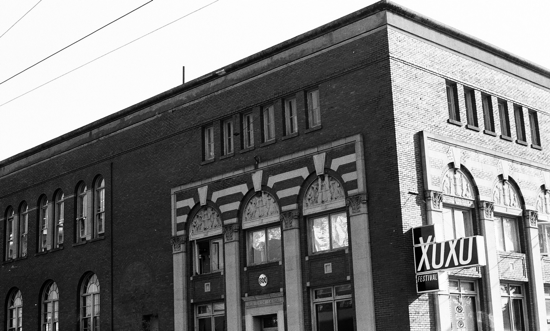 We held XOXO in a historic two-story brick building in southeast Portland, formerly an industrial laundry converted into an arts space. It didn’t have a stage, lighting, sound, wifi, or bathrooms. But it had character, and it was in a perfect part of the city, with two great breweries within a half block and an awesome nightclub across the street, ideal for our opening party and music event. So we built out all that infrastructure because it was worth it. And on top of that, we customized the venue for our needs, cracking open a long-defunct loading dock as our main entrance, constructing new stairs out to the street, and building a huge wooden deck for outdoor café seating in the parking lot. It would’ve been way easier to just give up and use the Oregon Convention Center, with all of its creature comforts, but it has no soul. And every out-of-town attendee would leave thinking that Portland was like the area around the convention center. We spent tons of money on all that stuff, but there’s no question it made a huge difference. Panels are the best way to make four interesting people boring. They’re hard to prepare for, too much pressure to be interesting on the spot, and usually end up a meandering and unfocused conversation touching on a handful of topics. I hate them. Even with a strong moderator, I’d universally rather hear four short solo talks from each person than a four-person conversation. Why? Because preparing a solo talk forces the speaker to think carefully about what they want to say, conveying their message and meaning in a concise way. As a result, the conference portion of XOXO was entirely solo talks, save for two interviews. I don’t love the interview format either, but logistical issues made an interview the best option for both. We made the best of it by getting amazing interviewers, each one an expert and accomplished speaker in their own right. Another thing missing from XOXO: audience Q&A after talks. Opening up for audience questions is always a huge gamble, giving the captive attention of the entire room to a single audience member. That kind of free attention always seems to inspire the one douchebag in the audience to promote their website or try to impress the crowd with their rambling commentary on the subject. “This is more of an observation than a question…” Sit down, jackass. Multiple tracks allow for more talks, more attendees, and more money. The drawback is that you’re dividing the attention of attendees and forcing speakers to compete against their peers. By its nature, multiple-track conferences are forced to pit the most popular sessions at the same time as one another, so that attendees split fairly evenly and don’t flood any single room. The result is that attendees are forced to choose between multiple things they want to see, and you end up missing half of what you were hoping to see. It also changes the shared experience, exposing attendees to ideas and people they may have not sought out on their own. 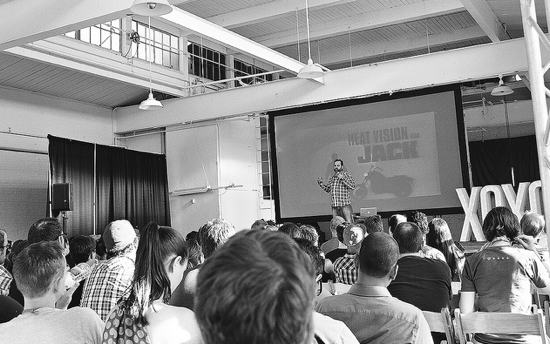 At XOXO, every attendee heard the same speakers and could reflect on them together. I think this is a much better experience for everyone. Conferences make money in two ways: ticket sales and sponsorship. Unlike journalism, many event organizers don’t have any qualms with mixing editorial and advertising. 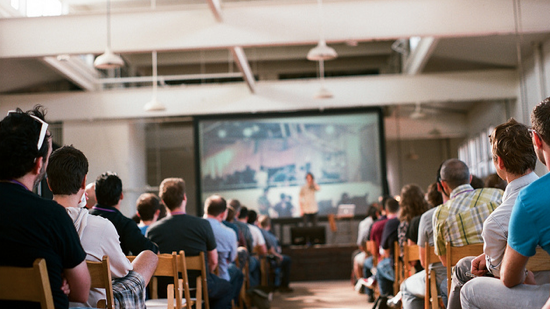 It’s not uncommon for conferences to sell keynote talks, on-stage mentions, video interviews, blog posts, tweets, email blasts, and brochures distributed to every attendee. This is in addition to all the standard on-stage advertising, swag bag inserts, outdoor tents, vendor booths, and branded conference merchandise. Everything at a conference is for sale, including you. XOXO took a different approach. Instead of sponsors, we had patrons that contributed to the event. What’s the difference? Our three patrons weren’t bidding for your attention — they wanted to make the event better, and they wanted to participate in it. We gave them passes to the event for their team, mentions in the guide and homepage, and that’s it. Wieden+Kennedy invited attendees to a party on their roof. 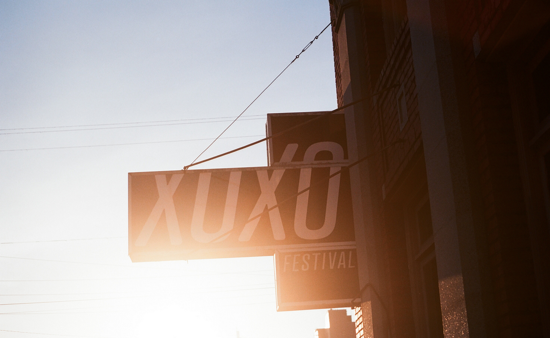 Mailchimp quietly picked up the bar tab at XOXO Music, without any prompting. As a side effect, this self-selected for interesting, creative companies. The kind of company that’s excited to buy a keynote slot and shove their brand down everybody’s throats with email blasts isn’t the kind of company that’s open to this kind of low-visibility patronage. The result was better for everyone: attendees never suffered a deluge of unwanted advertising and sponsored keynotes, and these three companies helped make something great, while meeting some of the most interesting people in art and tech. From a cost-benefit basis, I’d argue that each patron walked away with something more important than other sponsorship — meaningful connections and a whole lot of goodwill. I’d love to find more creative ways to incorporate patronage in future events. Big conferences can keep their payola. I’m happy to leave that dirty money on the table. All the decisions that you make shape the attendees that decide to show up, and ultimately, the attendees decide the fate of a conference. Our attendee list was a ridiculously great roster of creative people. 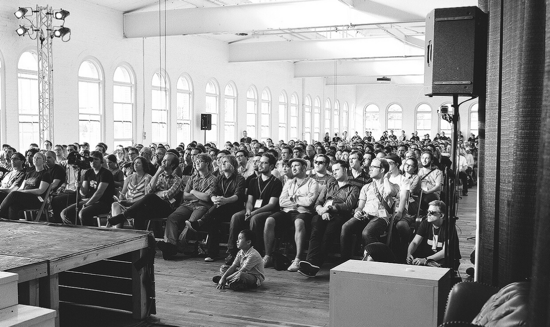 The biggest challenge for XOXO, if we decide to do it again, will be the attendees. 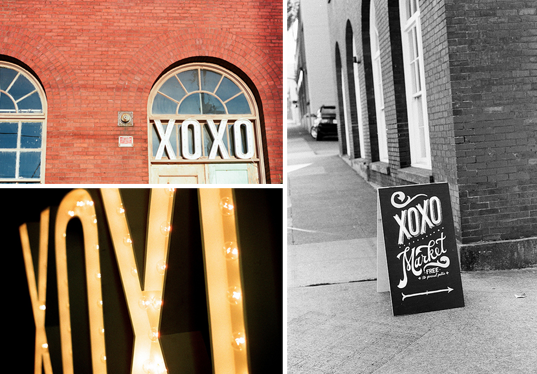 XOXO is a festival for artists and makers, not for people focused on business, PR, and marketing. If enough of those people leak into your event, it shifts the focus and creates a downward spiral that’s hard to recover from. The trick is that the biz/marketing/PR crowd often has more resources, and it may take some creative measures to keep them out. There’s also a larger tension between inclusiveness and intimacy. Attendees want an intimate event where they can talk to every person in the room over the course of three days. But, at the same time, I don’t want to run an event for the same 400 people every year. I want more diversity and more new voices, with a better balance between artists and technologists, and a better age, gender, and racial breakdown. And, if I’m devoting a chunk of my life to this, I want something with a larger cultural footprint that can make a difference in more lives. But to do that without excluding the core group of XOXO that made it great, we’d need to grow the attendance, at the potential cost of intimacy. My hunch: an event double or triple XOXO’s size with the most creative people in art and tech will still be amazing. Big conferences don’t suffer because of their size, they suffer because of a bad crowd. XOXO was one of the most rewarding things I’ve ever done. There’s something so magical about connecting interesting people together, and you never know where it will lead — new projects, startups, friendships, marriages… it’s hard to imagine never doing that again. I know it’s a cliché, but it’s true — you had to be there. Words only go so far, so we made a little montage that tried to convey the feeling of XOXO a little better. I hope you like it. This crystalizes the thoughts I’ve had in my head about what made XOXO so great. Thanks for taking the time and care to make it amazing, Andy, and I can’t wait to go back to Portland for the next one. I assume I’m speaking for everyone who wasn’t there when I say thanks for posting the videos. That’s very generous. What a really great recap Andy. Thank you, for writing this, as well as inviting me to volunteer and be a part of XOXO. I do hope you do another XOXO, and again, and maaaaybe again after that. I bought my ticket on a whim, thinking it was going to be a great chunk of time in Portland surrounded by some amazing people. It truly was. I can’t recall a more positive experience at a ‘conference’, ever. What struck me about XOXO was the thoughtfulness and attention to detail in all facets of it, which you cover in this recap…it really did live up to it’s name and I’m grateful to have been a part of it.